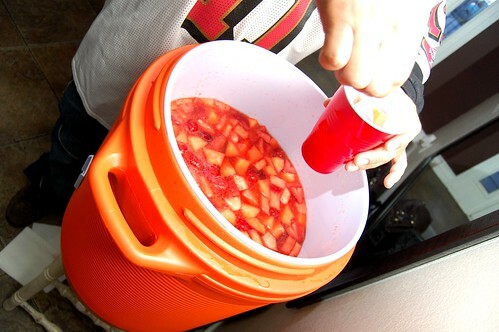 This recipe makes 20 gallons of the alcoholic punch. The 19 year-old’s birthday party that Reeves attended had a bathtub full of Jungle Juice. Nowhere in the reports does it state if Reeves, himself, had been drinking, but it is believed that he tried to break up a fight when he was shot. Innocent people killed at a party where underage drinking is taking place. A car accident where an innocent passenger dies because the driver has been drinking. Sexual assault. Violence. Unfortunately, these are all too often today’s realities at the parties our teens are either attending or throwing themselves. Talk to your kids. Get to know their friends and become familiar with their culture.